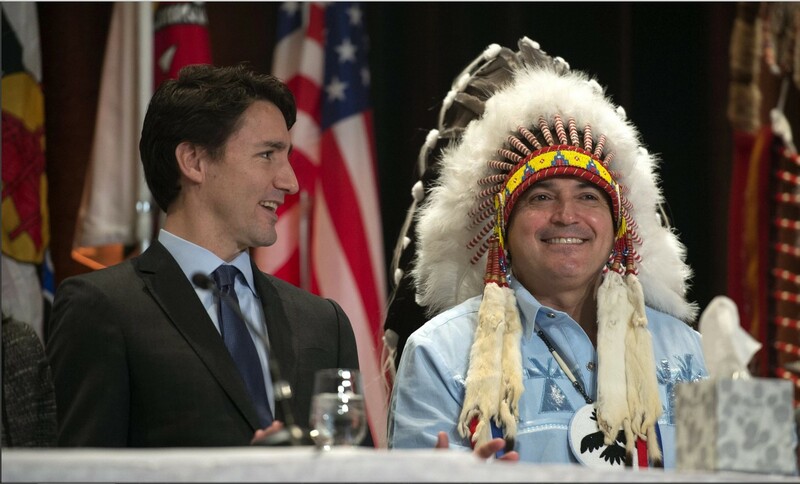 Tuck, James A.. "Beothuk". The Canadian Encyclopedia, 16 October 2018, Historica Canada. https://www.thecanadianencyclopedia.ca/en/article/beothuk. Accessed 19 April 2019. The iron caribou spear (right) is of European manufacture. The others were fashioned by Beothuks. Credit: Newfoundland Museum. 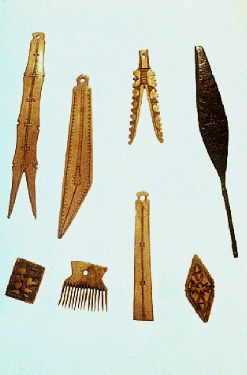 Archaeological evidence, such as tools, weapons and household items, indicates that the Beothuk inhabited Newfoundland long before European colonization. It is believed that they may be descended from earlier people — sometimes referred to as the “Little Passage” people, in reference to the first recognized Little Passage site on Newfoundland — who occupied the Island for several thousand years. At the time of European contact, around the 16th century, the Beothuk occupied at least the south and northeast coasts of Newfoundland. Shortly after the Europeans’ arrival, the Beothuk moved away from their coastal homelands and ancestral fish camps to inland territories. Possible violent encounters with the Vikings between 800 and 1000 CE caused the Beothuk to avoid the European newcomers as much as possible. (See alsoNorse Voyages). 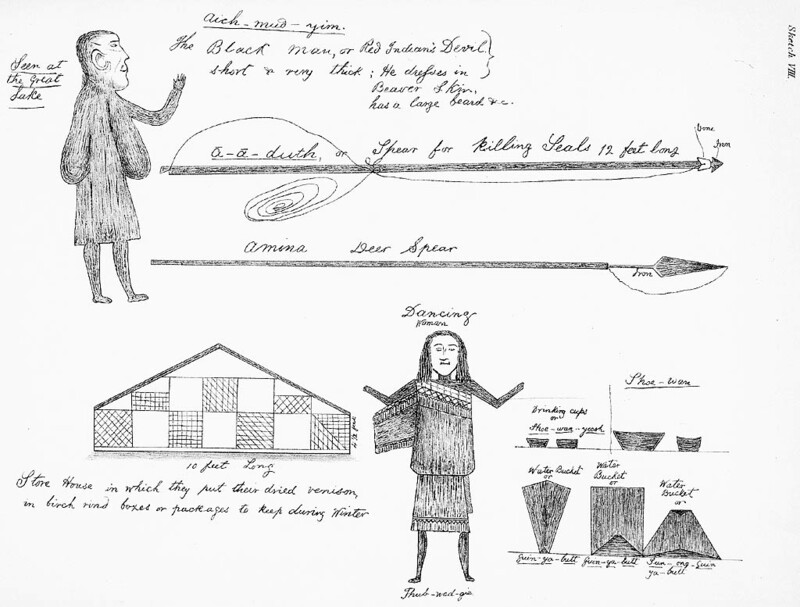 Beothuk drawings by Shanawdithit representing a variety of subjects, cups, spears, and more (circa 1800 to 1829). 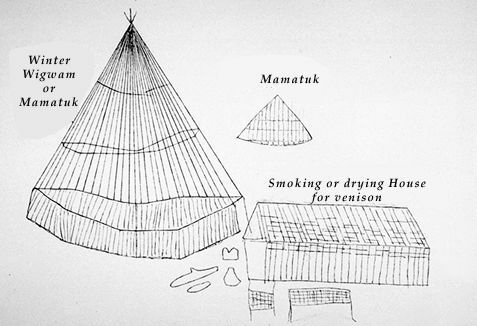 The Beothuk lived in bark- or skin-covered tents in the summer, and in semi-subterranean (partially underground) houses during the cold months. (See also Architectural History: Indigenous Peoples). They were primarily a coastal people, organized in small bands throughout the various bays of Newfoundland to fish and hunt seals, other sea mammals and birds. They also may have visited interior locations to hunt caribou at river crossings, but the pattern of a winter-long interior occupation does not seem to have occurred until post-contact times. Bows and arrows, harpoons and spears were used in hunting, which often took place from seaworthy bark canoes. The most distinctive of Beothuk artifacts are carved bone, antler and ivory pendants intricately decorated with carved patterns. Many of these items were recovered from grave sites in caves or rock shelters in the late 19th and early 20th centuries. Another notable feature of Beothuk culture was the people’s lavish use of powdered hematite, or red ochre, with which they painted their canoes, other artifacts and even their bodies. 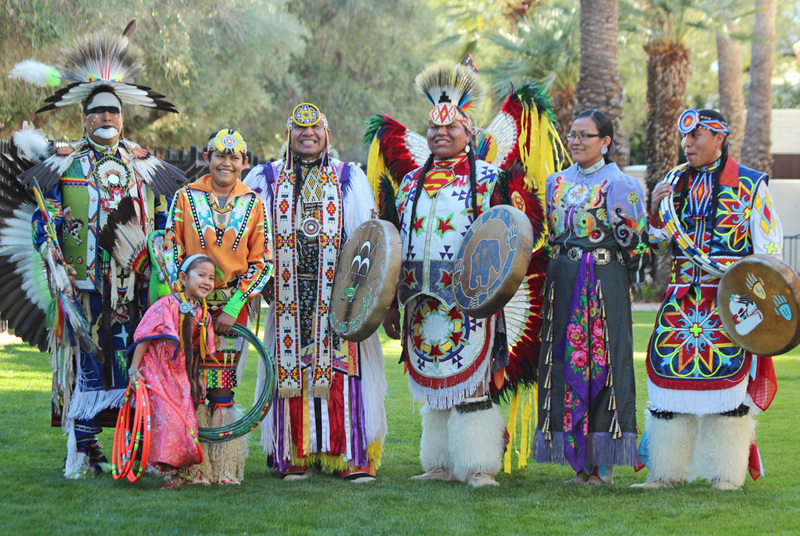 Since these people were the first North American Indigenous peoples encountered by Europeans, it is possible that their custom of using red ochre was responsible for the name “Red Indians,” which was later applied to all First Nations	peoples. Little is known about the Beothuk spirituality. As Algonquian peoples, the Beothuk may have shared similar origin stories, religious practices and worldviews. A Beothuk captive named Oubee once testified that her people revered the sun and moon. Shawnadithit, the last known Beothuk, added that her people believed in a spirit world with a supreme spirit (potentially the Creator) and monsters or dark spirits. (See also Indigenous People: Religion and Spirituality). Word lists transcribed by Europeans in the 18th or early 19th centuries indicate that the Beothuk language was related to the Algonquian language family. Little else is known about the language, which is now considered extinct. (See also Indigenous Languages in Canada). The earliest mention of the Beothuk in European records was perhaps in 1501, when Italian diplomat Alberto Cantino wrote of about 50 Indigenous men and women captives — possibly Beothuk — who he had seen in Lisbon, Portugal. During the era of contact, some European explorers captured and sent Indigenous peoples to Europe to be slaves or to serve as living examples of the “exotic” New World. Most of these captives died on the way to Europe or shortly after they arrived. There is no confirmation, however, that the captives Cantino saw were Beothuk. (See also Slavery of Indigenous People in Canada). During the 1600s, the Beothuk encountered European fishermen who constructed and worked at temporary campsites in the summertime along the coast. The Beothuk retrieved and reworked the metal objects the European fishermen left behind when they returned to Europe in the fall (such as nails, fish hooks and scraps of iron) into arrowheads, blades and other tools. The Beothuk therefore received European goods without participating in the traditional trade network developed between most Indigenous peoples	and Europeans during this time. The establishment of permanent European settlements in the 1700s significantly altered the Beothuk way of life. With the French at Placentia and the English settled in areas from Conception Bay to Bonavista Bay, the Beothuk withdrew from European contact and became increasingly isolated. By the mid-1700s, English settlement in Newfoundland increased. The Beothuk now had to compete with white fur trappers who were familiar with the Newfoundland interior. (See also Fur Trade). In addition, they were increasingly denied access to bays where they fished. This created tension, and at times, conflict, between the Beothuk and the Europeans. By the early 1800s, their population was subsequently reduced, as they were forced to live along the Exploits River system and subsist on the inadequate food and shelter resources of the interior. Some historians also argue that European disease — namely tuberculosis — may have contributed the reduction in their population. During this time, the Beothuk were displaced, and some, such as Demasduwit — one of the last Beothuk — were forcibly taken by Europeans or killed. In the 1820s, a Scottish explorer took the skulls of two Beothuk people, Demasduwit and Nonosbawsut, as well as what were likely related burial items, and brought them to Edinburgh, Scotland, where they were eventually housed at the National Museum of Scotland. Indigenous peoples, notably the Mi’kmaq, in association with the Canadian government and the Newfoundland and Labrador government, have made attempts to repatriate the remains. In January 2019, National Museums Scotland reached an agreement with the federal government to arrange for the transfer of the remains back to Canada. As a result of European encroachment, slaughter and diseases to which they had no natural resistance, the Beothuk’s numbers diminished rapidly following contact. The last known surviving Beothuk, Shawnadithit, died of tuberculosis in St. John’s in June 1829. According to Mi’kmaq oral tradition, the Beothuk are not extinct; rather, they intermarried with other Indigenous groups along the mainland after the Europeans had maintained tight control of the coastal areas. 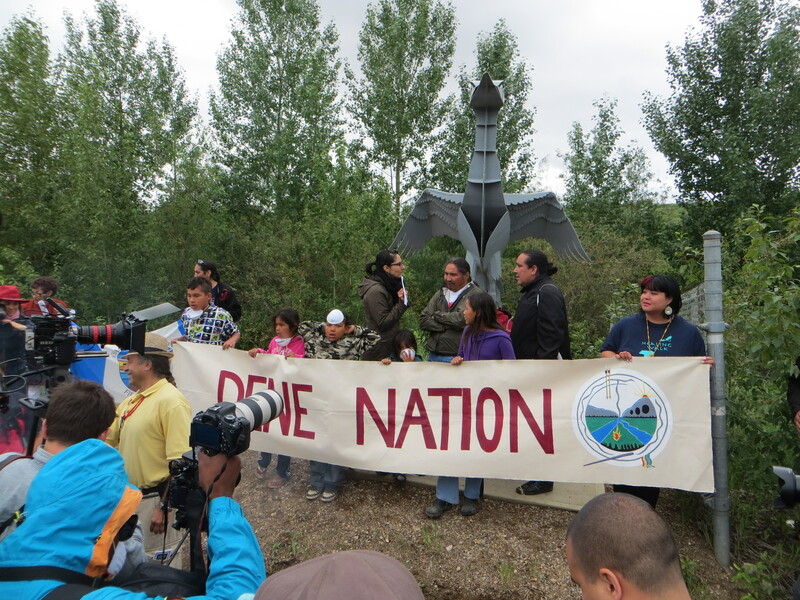 Their descendants therefore live on in other Indigenous communities. Some people have also suggested that the Beothuk intermarried with Vikings, and might therefore have descendants living in parts of present day Iceland. These theories are not the most popular or widespread, but they challenge the idea that the Beothuk have completely disappeared. Donald Holly Jr., “A Historiography of an Ahistoricity: On the Beothuk Indians,” History and Anthropology 14:2 (2003): 127–40. ShawnadithitConsultez sa biographie dans le Dictionnaire biographique du Canada. DemasduwitConsultez sa biographie dans le Dictionnaire biographique du Canada.